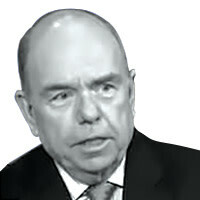 Robert Shrum says Romney’s VP pick accelerates the move away from the election as economic referendum. Never pick a man with a plan—at least not Paul Ryan’s kind of plan. After every quadrennial vice-presidential audition, another cautionary guideline emerges. A spectacular example: post–Sarah Palin, any potential choice will be tested for minimum passable competence in foreign policy. Ryan is an articulate, informed, self-proclaimed purveyor of “bold” ideas that also happen to be very bad, both substantively and politically. By the time the Obama campaign finishes with him, his specter, like hers, will become a red flag—in his case, a warning against selecting anyone who doesn’t conceal or soften his enmity to economic and social justice, but explicitly repudiates the safety net and basic protections for the middle class. Mitt Romney put Ryan on the ticket. But the Democrats will put him through a thorough examination. More than any other vice-presidential nominee ever, he will be a front-and-center target. Romney, who so resembles T.S. Eliot’s “hollow [man] ... headpiece filled with straw,” will dissolve into the image and ideology of his running mate. Soon they will look like the Ryan-Romney ticket. Need proof? Check out Bob Schieffer’s 60 Minutes interview with the two last night. Ryan already seemed to be talking down to Romney. Barack Obama’s strategists and ad makers will dig deep into Ryan’s budget plan to write a new and powerful chapter in their preferred narrative for the 2012 election. Bain, the Swiss bank accounts, and the offshore tax havens won’t go away; they will be with us until Election Day. But the ascension of Ryan invites and compels an evolution in the Obama approach. The campaign will build on Romney’s grasping and heedless financial manipulations by focusing on the Ryan policies that would so lavishly comfort the comfortable and so painfully punish mainstream America. I can see it now, the wave of ads coming to swing states near and far. They will be more specific than the ones this summer that effectively defined Romney as someone who “favors the rich over the middle class,” a nearly disqualifying verdict rendered by 64 percent of respondents in the most recent CNN poll. This wave of arguments and advertising won’t change but reinforce the core Obama message, extending and embedding a defining question for voters: who stands up for the many, and who stands with the few? So here are the contrasts that will count. —The president will protect and strengthen Medicare; the Ryan-Romney ticket would voucherize, privatize, and end Medicare as we know it. —The president will safeguard Social Security; the Ryan-Romney ticket would privatize it too, pulling resources out of the trust fund that sustains benefits for today’s retirees. —The president will invest in education; the Ryan-Romney ticket would devastate Head Start, the Race to the Top in math and science, and college loans for millions of students. —The president wants the wealthy to pay their fair share; the Ryan-Romney ticket would slash taxes at the top and increase taxes on middle-class families by an average of $2,000 a year. Incredibly, under the Ryan plan, Romney would have paid just 0.82 percent on his 2010 income of $21 million. What a telling portrait in plutocracy, and it will be broadcast across every battleground media market. The Ryan-Romney ticket has its answers, contrived and unconvincing. Ryan, we’re told, is making “the tough choices.” Yes, tough on ordinary people—and easy on the top 1 percent. Indeed, he’s neither a serious economist nor a genuine intellectual; the life of his mind is rooted in Ayn Rand’s idolatry of selfishness. And his plan is a fiscal trick that wouldn’t balance the budget until ... 2040—when Romney would be 93 years old. Talk about change you can’t believe in. This is a battle the Obama side will win. So is the contest over the claim that the Ryan plan would give seniors the option of staying with “traditional” Medicare. But if a bare-bones private plan could be purchased with a voucher—or as Ryan euphemistically calls it, “premium support”—and costs less than comprehensive Medicare coverage, recipients would have to pay the difference. Romney strategists know the danger here. The morning of Ryan’s anointment, they rushed out talking points that labored to create a little distance between the two men: “Gov. Romney applauds Paul Ryan for going in the right direction ... And as president, he will be putting together his own plan.” But Romney repeatedly embraced the Ryan proposal during the primaries; he’s right there on tape saying it would be “marvelous” to pass it. That tape will prove far more persuasive than any expedient and mealy mouthed evasions. If Romney tries to run or tiptoe away, he will trip over his own flip-flops. Obviously, the Obama ads will target seniors. They were the bedrock of the GOP’s midterm landslide; 59 percent of them voted Republican in 2010. That’s already changing. In an AARP survey of retirees in Florida, Romney and Obama are running neck and neck within the margin of error. And the fact that Romney just changed his first name to Ryan will push more of them toward the president—there and in other states, such as Pennsylvania and Iowa, with high proportions of elderly residents. But Ryan provides a target-rich environment that reaches far beyond seniors. He eases none of Romney’s potentially fatal deficit among both women and Hispanics; he exacerbates it. Expect ads telling women that Ryan coauthored a “personhood” bill that would outlaw common forms of birth control—and that he’s voted to defund family planning and Planned Parenthood. With Hispanics, where Romney’s already 44 points behind, a running mate like Florida Sen. Marco Rubio or New Mexico Gov. Susana Martinez might have narrowed the gap. Instead, the nominee-to-be settled on someone who voted for John McCain’s “danged” border fence—and against the DREAM Act. And Ryan has reportedly trafficked in incendiary, anti-immigrant epithets like “anchor babies.” Ryan-Romney will be a ticket to nowhere on Hispanic television. It probably doesn't matter that both men cater to intolerance toward the LGBT community. That’s now as standard for most of the GOP as the defense of segregation was for most Southern Democrats half a century ago. Gay Americans are overwhelmingly for Obama; the few who support Romney apparently care more about their marginal tax rates than about being exiled to the margins of society. But among three groups where Romney has to hold on or make major gains—the elderly, women, and Hispanics—Ryan is a trifecta of voter alienation. The Romneyians surely envisioned the shape and impact of the Obama response to the Ryan pick. They waited too long, and pressure on the right mounted to go with the vice-presidential candidate from the Koch brothers. Romney didn’t really make a choice; with his base shaky, he probably decided he had no choice. Then, to mute that notion, the insider accounts offered up the transparent spin that he had made his decision a week ago. He was clearly rattled when he introduced Ryan as “the next president of the United States.” For a moment there, I guess, it really was the Ryan-Romney ticket. Romney is in increasing danger of convincing Americans that he’s a doofus—not only an out-of-touch son of privilege but an out-of-his-depth mediocrity who struggled to win the GOP nomination against the least credible field in either party in modern times, or perhaps at any time. He’s the one who ran on his business record; now he wants a truce with Obama so he won’t have to talk about it. Unprepared for the Bain attacks 18 years after they battered his bid for the Senate against Ted Kennedy, he’s reduced to watching his spokesman resort to juvenile jabs at the president’s campaign as “lower” than “a champion limbo dancer.” It’s the kind of thing you say when your candidate is running like a dry creek. That, however, is not the heart of Romney’s problem or his greatest gift to Obama. The Ryan-Romney ticket is confirming and accelerating the move away from the 2012 election as a straight-line referendum on the state of the economy. At this point, it is unmistakably and irretrievably a choice—and in terms of the unradical American majority, the financial manipulator from Bain and the New Deal destroyer from Janesville are on the wrong side. Would that mine opponent would write a plan. Ryan did. Romney owns it. The Obama strategists will use it. The first Web video is already out. They’re in the edit room right now working on the television advertising. Come November, I believe the Republicans left out of the White House will be left with a simple thought: where was Tim Pawlenty when we needed him?